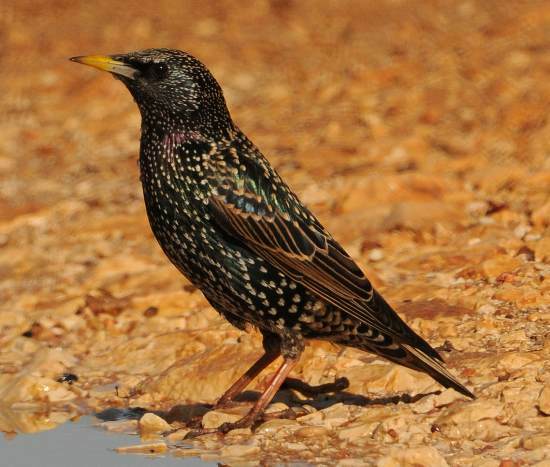 Smaller than a blackbird and with a shorter tail, the starling is immediately recognisable by its glossy purple and green flecked plumage, which on suny days is irridescent. Typical length is 22cm, and the wingspan is about 40cm. 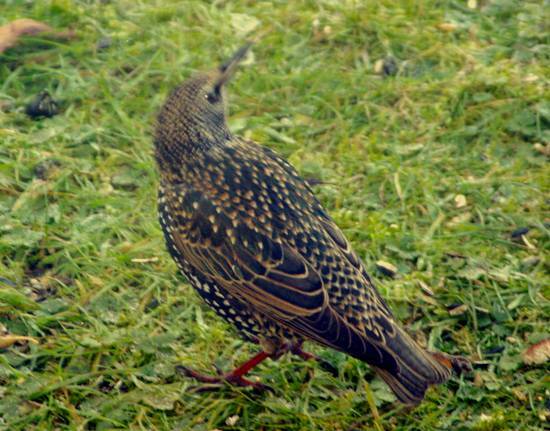 The resident population in Britain is augmented many times over by Starlings from colder northern countries that visit us for the winter months. Present in Britain throughout the year, starlings are most evident in autumn and winter, when an influx of flocks from northern climes swells their ranks. Starlings, which are more common in towns and villages than they are in the countryside, flock in great numbers and can put on amazing aerial displays, most especially in the evening as the sun dips towards the horizon. This page includes pictures kindly contributed by Ray Tipper.